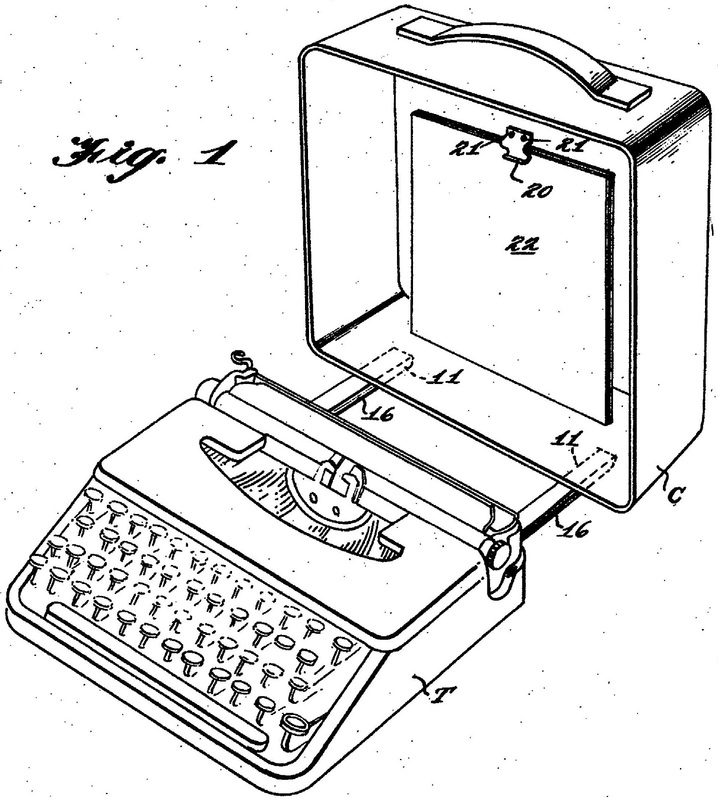 On this day (December 11) in 1956, Helen Mary Wager (1924-1983), of Verona, Ontario, filed for a US patent for her idea to use the case of a portable typewriter to double as a copyholder. The machine itself would act as a support. Helen used a Smith-Corona Skyriter to illustrate her plan. Her earliest reference was to a copyholder designed by Frank Edwin Grove, of Franklin, Pennsylvania, in 1900. I always found that idea interesting, but I never got used to it. 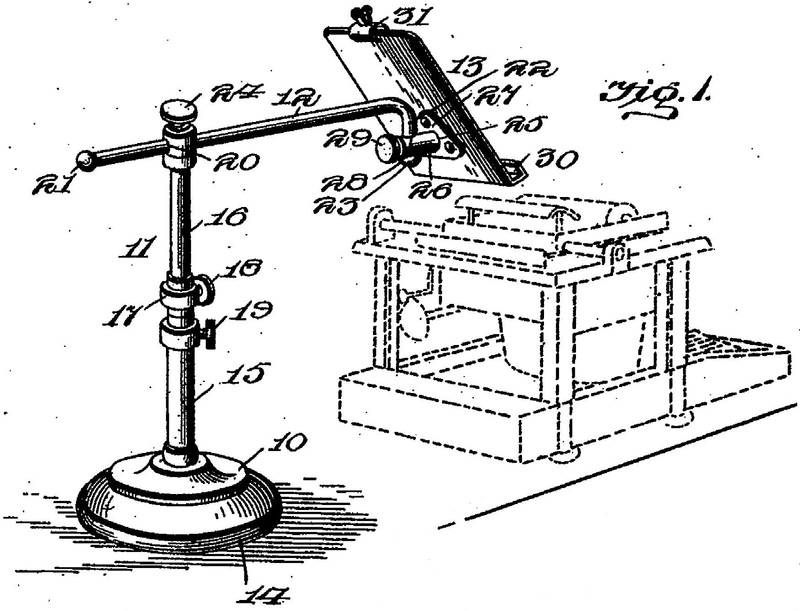 The case projects shadows over the paper, and it tends to be obscured behind the machine... I rather place the original on the desk, next to the machine.